Little metal pram, hand forged, decorated as a vintage classic pram. 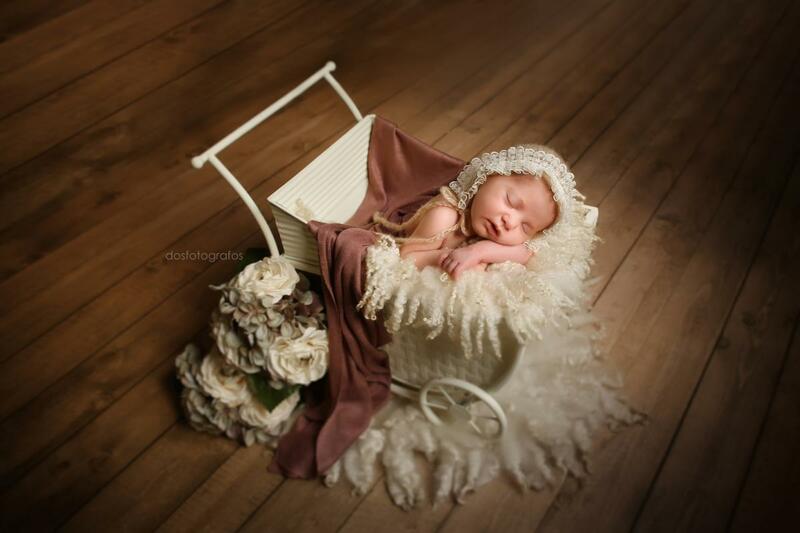 Ideal for your newborn photo shoots and sitter photo shoots too. For safety reasons, the wheels of this pram do not move. Baby container: 35 cm x 23 cm x 23 cm.